Neuronal migration is an important process in brain development and homeostasis. 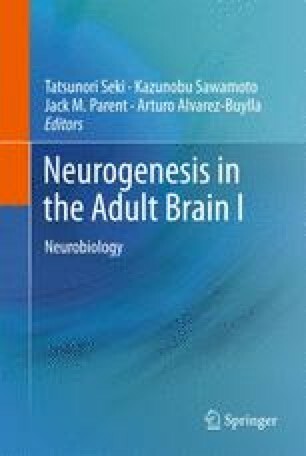 It is not only a phenomenon of embryogenesis: it also occurs in the adult brain, following adult neurogenesis. In fact, throughout life, numerous new neurons generated in the adult subventricular zone take the long journey to the olfactory bulb. The adult-born neurons form chain-like aggregates and migrate inside glial tubes. In this chapter, we summarize current knowledge on the mechanisms of neuronal migration occurring in the adult brain of various animals under physiological and pathological conditions.